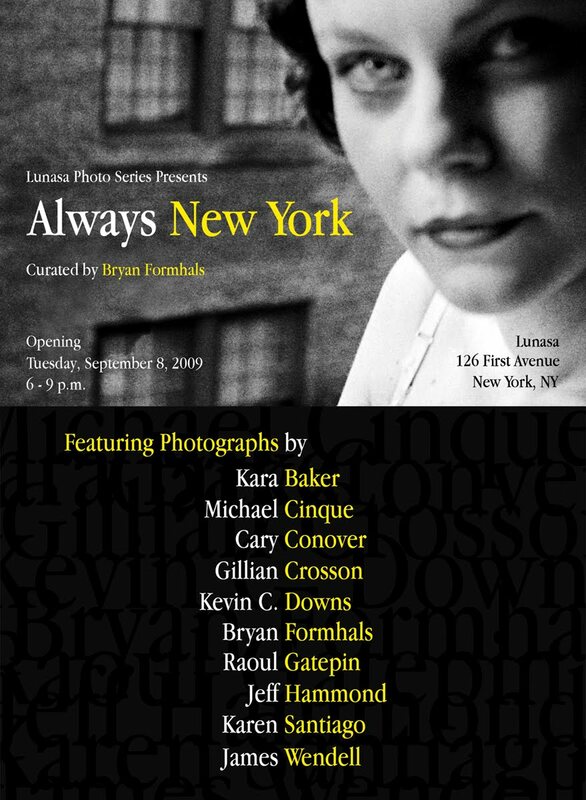 I'm happy to announce I'm participating in a group show at Lunasa, 126 First Avenue, starting this coming Tuesday, September 8th. The opening is from 6-9, so stop on by. It's an all black and white show, so I'm anxious to see what everybody hangs. The show, which is presented by the Lunasa Photo Series, is being curated by Bryan Formhals, who is the driving force behind La Pura Vida Gallery. Looking forward to meeting all the other photographers. I wish I could come by and see this. Congrats on the show.